Mariners Latest: What Is A King Without A Prince? What Is A King Without A Prince? As December winds down and the rumors of a Prince Fielder decision coming before years end, the debate of Prince Fielder coming to Seattle has been quite the conversation piece. Last week I found myself telling people that I wouldn't want Prince Fielder if he (or Scott Boras) were looking for Albert Pujols type money. You know, 10 years, $254 million dollars! I thought it would be absurd to pay that kind of money, but then I began to rethink what this means to the Seattle Mariners. Prince Fielder is an automatic draw to Seattle fans. A promise of run support for our beloved Felix Hernandez and what the Mariner fan base has been begging for for years. A bat that will drive in runs and a front office that will take the necessary risks to contend in the AL West. Now until the end of the year we have an opportunity to do both by signing Prince. Will his price tag be too high? Most definitely. Should we be willing to pay it? Absolutely. Seattle has a very fair weather fan base and signing a player with promise such as Fielder will most definitely draw a crowd, sell some jerseys, caps, t-shirts, etc. Let's not forget what kind of attention it will bring to our line-up. Ichiro, Ackley, Smoak, Fielder??? Guti? 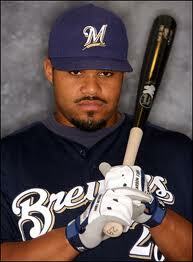 I can only believe that those that are hitting around Fielder are going to be hitting a little bit better too. What does it mean for our pitching staff? All those countless one run losses last year start to turn into priceless wins with the addition of some offense. Fielder provides that extra run per game all by himself. King Felix takes the mound with a bit more confidence that he will walk away with a "W" and begins to command the strike zone with authority and K's his way into another Cy Young title. Pineda, League, Vargas??? All of them would have a lot more confidence in their offensive counterparts. Passion returns to the Seattle Mariners, not just on the field but in the stands as well. So, what is the King without a Prince? A dying legacy! Sign Fielder and rejuvenate baseball at Safeco Field. It will be the best $250 million ever spent.